A toxic culture of harassment, bullying and “working people to the bone” is driving an exodus of real estate agents from Purplebricks, former agent Geoffrey Duncan told the AFR. Of the nine “eager” people he trained with in July last year, Mr Duncan said only three remained at the company. “It is a sweatshop … a continual revolving door of disgruntled sales agents,” he said. Mr Duncan claims he suffered harassment and ridicule from employees of the company after posting articles on social media about his negative experiences. Things came to a head when Mr Duncan ended up in hospital after suffering an overdose and a breakdown. After his hospital stay, Mr Duncan was told he would not be paid more than $5,000 he had earned from securing listings for the fixed-fee agency before he fell ill. He said he was fired shortly after. Purplebricks eventually paid him the money he was owed 11 months later. In a statement, Purplebricks admitted it had “fallen short” short of its own standards of striving “to create a respectful and caring environment for all our employees”. “Following a recent internal investigation, it’s clear that Mr Duncan and his territory owner had a dispute in what appears to be in complex and difficult circumstances,” a spokesman said. “We acknowledge that in this instance we could have intervened earlier to alleviate the dispute that had arisen between the parties concerned. Mr Duncan said he was glad he had been finally paid what he was owed, but said he had spoken out not for financial gain but to highlight how he was treated following the stories shared by other former Purplebricks agents, some of which have been reported by the AFR. He said he regretted ever working at Purplebricks. “This company has a toxic culture that works people to the bone without any support and when things dry up, such as market appraisals, they no longer support you and leave you high and dry,” he said. Purplebricks launched in Australia two years ago, charging a flat fee of $4,500 supported by an online platform, promising to “change the real estate landscape”. It increased this fee to $8,800 this month, split between a $4400 upfront “marketing” fee with the rest payable on settlement. Purplebricks was also heavily criticised for recently running a vendor discounting competition in NSW with a cash prize up for offer for agents who got the most discounts. Real Estate Industry WA president Hayden Groves says Purplebricks is overselling itself to potential customers, reports WA Today. “Purplebricks has been advertising for a long time comparing themselves with regular real estate agents … the reality is it is quite different,” he said. “They are not acting like a professional agent should be doing in terms of seeing the transaction through to settlement, ensuring they’re getting the best price for their client and ensuring that they are promoting the property. 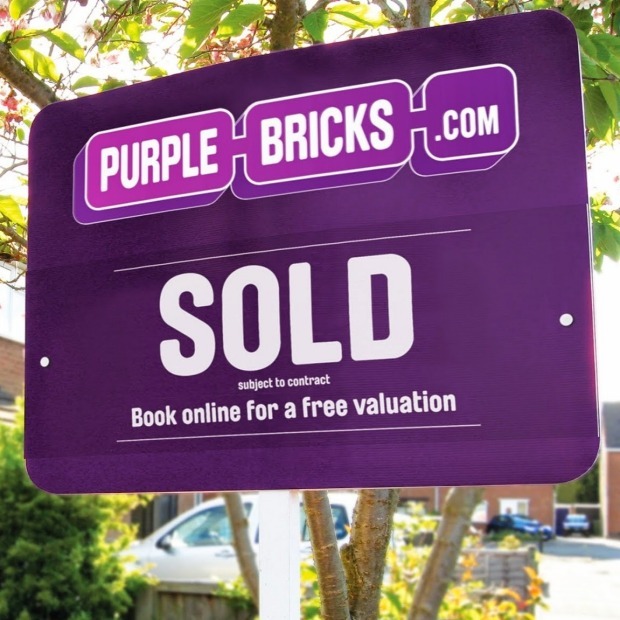 “Purplebricks are simply not delivering that service.